This week saw the launch of Google+ which is Googles answer to Facebook. Google has definitely had setbacks when it comes to Social solutions. Google Wave anyone? So what do they decide to do this time around? Basically mirror Facebook. 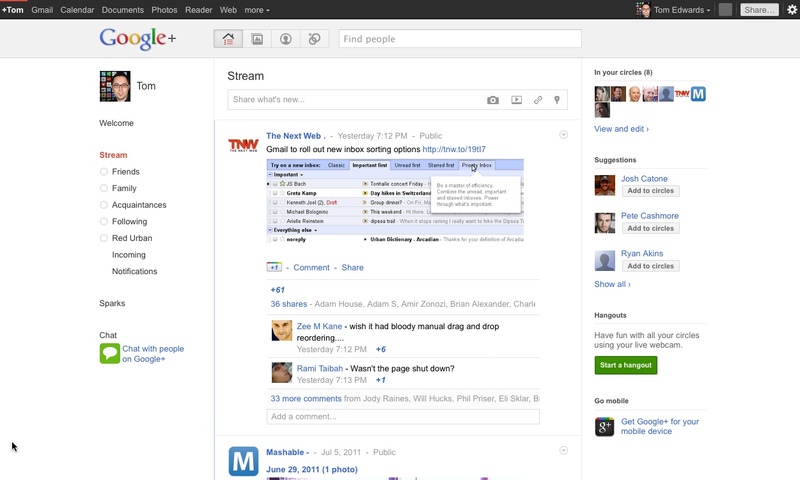 There is even a CSS overlay that now converts your Google+ experience to look like Facebook. When you break down Google+ the initial functionality looks very familiar with a few subtle differences tied to the Profile & stream of news. 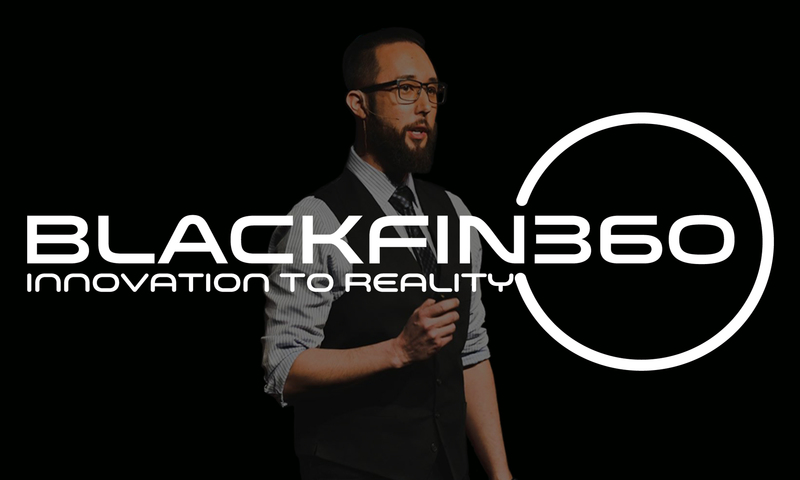 The Stream is similar to the newsfeed and users can “+1” specific updates. The functionality is so similar to Facebook’s newsfeed that it makes me think if you can’t beat them copy them. 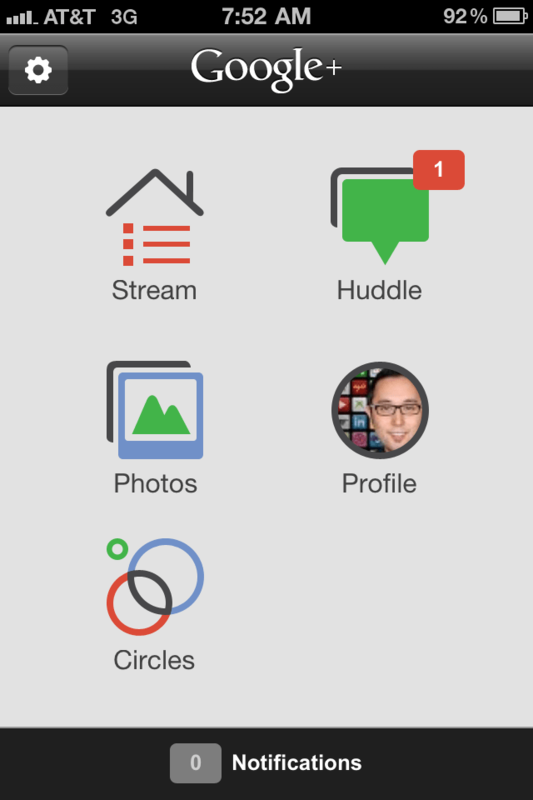 Beyond the profile & stream there are 5 core areas of Google+ upon launch. Circles – The basis of circles is to allow users to segment their friends and drive updates to specific groups vs. your entire friends list. Users can follow updates from specific circles with the ability to further filter streams of information. Hangouts – Brings live group video chat to the table. An individual can allow multiple users in various circles to initiate group video live chats. 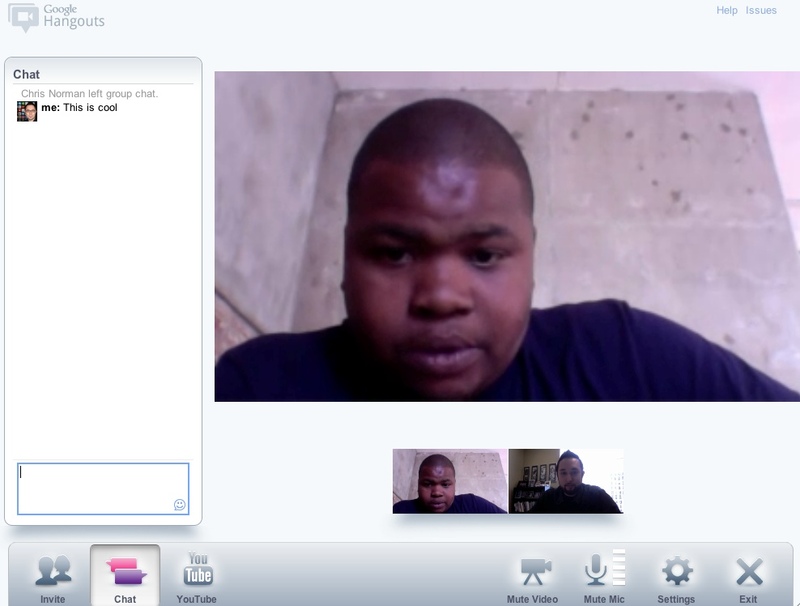 It’s sort of a mashup of Meetup & Skype’s group video chat. Instant Upload – Instant Upload is a service that ]removes the barrier between uploading images from your mobile device to a social service. Instead of selecting which image to upload, all images are uploaded and you select which to share with your circles. Sparks – Sparks is the Google+ version of a relevancy engine. My assumption is that this serves a dual purpose of identifying and sharing interests as well as the engine to tie users interests to Google’s ad platform. It will be interesting to watch the progression and to see if Google+ takes from Facebook’s sponsored stories and other socially integrated advertising options to attract potential ad revenue. Huddle – Huddle brings group texting to the social network. Similar to GroupMe & Beluga recently Acquired by Facebook users circles can now carry on the conversation outside of the standard web interface. It looks like Google+ beat Facebook in getting this feature to market. +1 – Google’s version of the Like button, +1 is designed with the same intention as a Like and will be appearing on 3rd party sites near you. I assume Google will integrate the +1 into search results similar to Buzz. I am also assume that brands will now want to drive both Likes & +1’s in the never ending quest for earned media. I am sure that the future of Google+ will be tied to deep hooks with the Android operating system, an extensive ad network based on information provided via Sparks as well as a push to drive 3rd party adoption of the +1. Also with Chrome gaining market-share and closing the gap on Firefox there will most likely be considerable integration there as well. One of the core advantages of Facebook for advertisers beyond reach is that Facebook is a platform first and foremost and with a laser focus on driving social for users & brands alike. It will be interesting to see how Google+ will attract & support brands. As they have just announced “Pages” for brands is on the roadmap. This is clearly the biggest threat to Facebook to date as it takes the best elements of Facebook and adds new functionality. But it has a long way to go to match Facebook as an advertising platform. The things to keep in mind moving forward is that Google currently owns Search, YouTube, about to purchase Hulu, Chrome with 20% market share as well as the Android operating system and driving usage of their online office productivity suites and apps. If anyone is positioned to challenge Facebook it’s Google. But time will tell.